Bath Bevy is a subscription box for bath lovers. 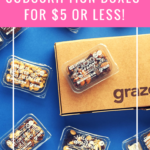 Each month subscribers will receive a thoughtfully curated box featuring bath bombs, bath salts, and other bath products from various indie brands. When you subscribe to Bath Bevy, you can expect to soak in luxury. Bath Bevy recently curated the Fall Bonus Box – an amazing limited edition box packed with goodies! FYI – This box is still available for purchase. Coupon: Save 10% off your first subscription box when you use code MSA10 at checkout! The Products: 13 fall-themed goodies that will have you soaking in autumn-scented bliss. Here is the info sheet detailing the products included. I love pumpkin, I love coconut, and the pairing of the two scents is just as lovely as it sounds. This looks to be a box exclusive scent, and I am happy with how moisturizing this body butter is. It doesn’t leave me greasy and it soaks in quickly, too. This gorgeous bubble bar looks just like a nice autumn leaf that is about to fall from the tree. Like those leaves, this bar crumbled easily and made a nice mound of bubbles for my bath. The scent is described as fir balsam, cedar leaf, clove, and vanilla, and it strikes a great balance of being earthy and spicy. These baby pumpkin bath bombs are too cute! They smell just like pumpkin spice, and I like that they can be used on their own, in a bath with some bubbles, or together for ultimate pumpkin spice bliss. This turned my water a pleasant light orange color and didn’t stain my tub. Now that it is flu season I will take all of the hand sanitizers I can get! This has the recommended 62% SDA alcohol to kill germs and it is also made with aloe vera to keep hands from drying out. Sometimes I can find scented hand sanitizers to be overbearing, but I was happy with the balance of the apple cider donuts scent with the alcohol. Thanks to subscription boxes I have officially learned that whipped soaps are my favorite way to suds up! This is no exception, as It gently cleans my skin while being hydrating thanks to the shea butter, coconut oil, and jojoba beads. The Fall Vibes scent is a mix of apple, pear, vanilla bean, smoky woods, and toasted marshmallow, and it strikes a nice balance of being fruity without being too sweet. This is an ultra-exfoliating soap thanks to the natural loofah slice that is embedded into glycerin-rich soap. Bath Bevy recommends using this on rough areas like heels and elbows but not for everyday use, and I would say those are good guidelines to follow. I really love the way this exfoliated my heels, and the vanilla spice scent perfectly encapsulates fall. Isn’t this baby cider jug adorable? It smells deliciously like spiced apple cider, and about a third of the jug provides a great mound of bubbles for me. Here is the bath I climbed into using the spiced cider bubble bath and the apple crisp bath bomb dust. This bath was heavenly and smells so good! I love the bubble salt line from Bath Bevy! Each pouch is enough for two baths, and you get a double whammy of a mineral-rich bath and a nice mound of fragrant bubbles. Ms. Rule is scented with patchouli, sandalwood, citrus, vetiver, and a hint of pepper, and I love the spicy scent that makes me feel energized and ready for mischief. This is the same great bubble salt only scented in sweet cinnamon pumpkin! I used half of this bag in combination with one pumpkin bath bomb for a luxurious bath that had me feeling all of the Thanksgiving vibes. This has a comforting scent blend of warm vanilla spice that is like a hug in a bag that you can soak into after a long day. 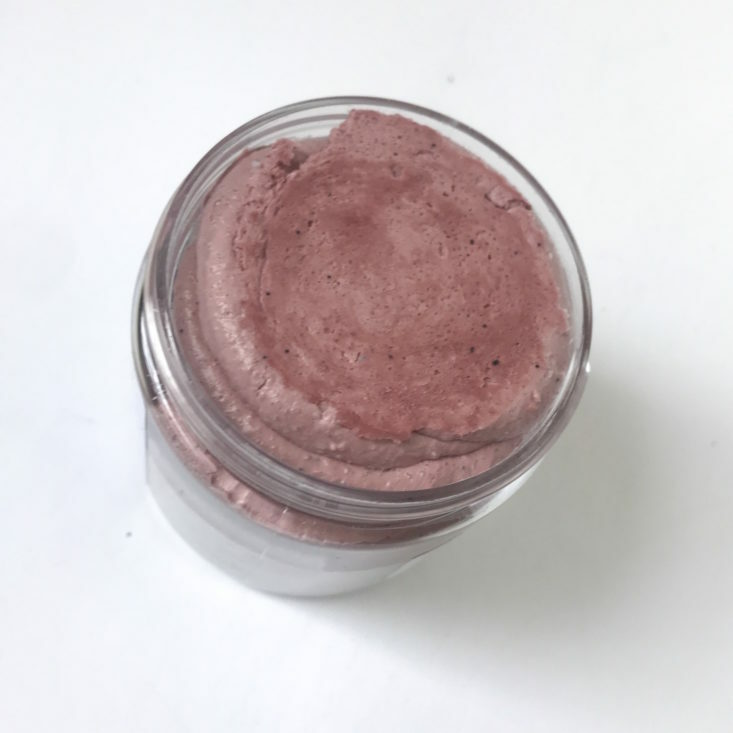 This scent blend is perfect with the added benefits of having a mineral-rich bath (which is supposed to help boost blood circulation, reduce stress, and help you drift off to dreamland). Bath bomb dust is essentially a powdered bath bomb! I love taking baths when I travel (usually my hotels have nicer bathrooms than the one in my apartment), and this pouch is great for travel because it is so much less messy than a typical bath bomb. This paired great with the spiced cider bubble bath, too. This is one of my favorites in the box because it combines two of my favorite scents – lavender and eucalyptus! It also has notes of lilac, sugared vanilla, and warm woods. I expect this to turn my bath a gorgeous shade of purple, and I am saving it for when I have had a really long day and need help relaxing before bed. With law school finals coming up, I imagine I will be using it any day now. Not only is a lovely candle included in this box but when you purchase this box you get to choose your candle scent! I went with cranberry marmalade, and I love the freshness this little candle brings to my stale apartment air. The scent is a blend of tarte cranberries, spiced apples, fresh orange peel, and evergreen and is made with 100% American made soy wax and lead-free wicks. In terms of scent throw, I would rate it at about a 2/5, with 1 being so weak I cannot smell it burning and 5 being so strong it’s overpowering. Lest you think that is a bad rating, I think it is perfect for freshening up my bedroom without being so strong it gives me a headache. We also received a small book of matches, which I appreciate since I always seem to misplace mine. The Verdict: This box is a bath lover’s dream box – it felt like I was unboxing a literal piece of heaven when I reached into all that sizzle and pulled out product after product. I received a crazy 13 products (counting the pumpkin bath bombs as one), and I seriously enjoyed all of them. Even better, you get way more than 13 baths out of this box! Since this box has so many exclusives I couldn’t calculate a retail value, but if you appreciate handcrafted small-batch bath goodies I believe you will be happy with what you receive. Can you get this box if you still sign up today? Yes, as of publication, this box was still available for purchase! And it’s currently on sale for $55.88 (originally $75.50)! Value Breakdown: This box cost $82.45 ($74.50 +$7.95 shipping), and I received 13 stellar products. That breaks down to about $6.34 per item. Check out all of our Bath Bevy reviews and the Beauty Subscription Box Directory for more great bath and spa-oriented subscriptions! What do you think of the Bath Bevy Fall Bonus Box? How do subscribers rate Bath Bevy? Do you subscribe to Bath Bevy? Add your rating now! I am LOVING this sub box!!! Also, if you sub, you will get access to the Facebook site that has frequent sales. This is on sale. I just ordered it for 55.88 + tax. Came here to say this! If you’re looking for this limited edition box, be sure to go to their website, bathbevy dot com, and not the cratejoy site. I just got a shipping notification. That is fast! The folks over at Beth Bevy are on the ball!